Depending on what state you live in will determine what consulate you must go through. Since we reside in Arizona, we are bound to go through the Los Angeles, California consulate. Of course, this consulate is the busiest in the United States. There is much to be said about this office but I will not get into negative specifics at this time. Let’s just say they are difficult. Difficult to get any information out of in the way of communication. The first major obstacle. We know people that live in Chicago and New York that have gotten their dual citizenship in a matter of 4-6 months. Each consulate operates separately and therefore, has different results. During this time, we have been required to amend several documents. We have gotten all original and amended documents to the consulate. I don’t want to make light of this step as there is a great deal involved and we have been requested twice to do this. For us, our documents are in New York so we have had to send documents back and forth through the courts. Obtaining Italian Citizenship takes time and money. We have exhausted a great deal of both! Meanwhile, we have sold our home, furniture, possessions – even our cars, ready to leave for Italy. All documents are in the hands of the Italian Consulate. We received a reply to our email requesting a status of our application. Surprisingly, we received a reply that they are working on our file and we should be receiving something from them soon. The next step should be being recognized by Italy. They must register us as citizens in the town we are applying; which is the town that Gary’s grandfather was born in Sicily. Until then, we can not get our Italian passports. We are hoping (and praying) that their idea of soon – is really that – soon! Book the Perfect Vacation at TurnKey Vacation Rentals. 24/7 Service! It’s a good idea to order more than one copy as once in a while a document is lost or damaged, often other family members decide later on to follow your footsteps and may need their own. 2. It is very important to request a “long form” and specify they are for legal, international use for dual citizenship. This would be for instance a marriage certificate. 3. Save the envelopes the documents are mailed in. Sometimes that is needed for proof of where you received the document from. Scan and copy every document as it arrives. It is easier to do this as you get the documents to keep yourself organized. Collecting documents can feel very overwhelming when starting. Keep a spreadsheet to keep organized of when you ordered copies of documents and if they have arrived and are correct. 4. To determine what documents you will need, start with your local Italian consulate website. Each state has slightly different requirements. To begin, you will definitely need birth, marriage, divorce (if applicable), naturalization & death certificates for everyone in your line and spouses (usually). 5. 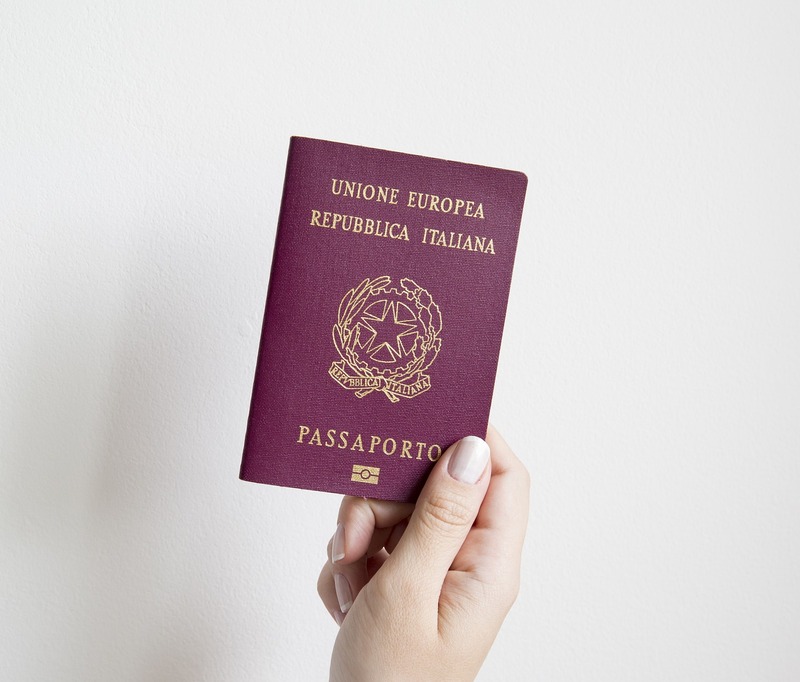 Once you confirm that you qualify for dual citizenship it is wise to schedule an appointment with your Italian Consulate per your state’s jurisdiction as soon as possible. You can ONLY apply at the consulate for the district you are a resident of. Again, we reside in Arizona so our consulate is in Los Angeles, California. This consulate covers residents of Southern California, Arizona, Nevada, New Mexico and Colorado. The wait time for a citizenship appointment can be over 2 years for some and as many as 6 years for busy consulates like Los Angeles. That gives you plenty of time to gather documents. 6. The key to qualifying for Italian citizenship through Jure Sanguinis is you have to prove either that the ancestor you are applying through did not become a US citizen before the next person was born in your line of ascendants or, that they never became a US citizen at all. 7. You will need to check on this as Italian law is constantly changing but as of this moment, you can skip the consulate and apply for your citizenship directly while living in Italy. Had this been the case when we began, we certainly would have taken this route. Many are not aware that this is an option. There is a fantastic Facebook group that we found that is very helpful and knowledgeable. We highly recommend you check them out at Dual U.S. – Italian Citizenship. It is a closed group so you will need to request to join. If we can help you answer any questions, please contact us. It would be our pleasure to help! 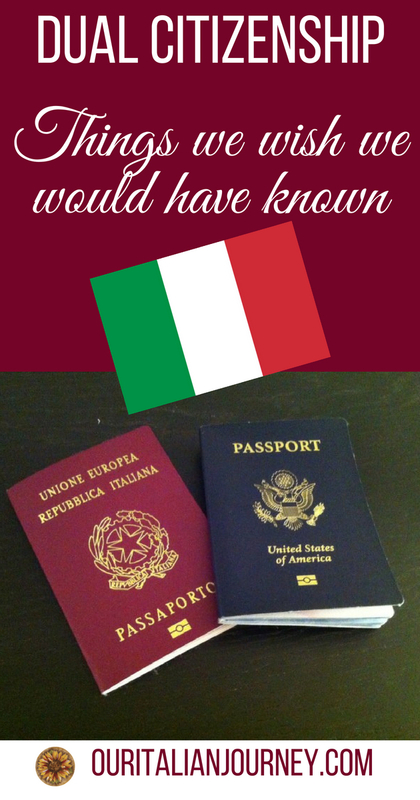 Dual Citizenship Papers for Italy – Ready! Very happy you found it helpful, Joya. Appreciate the comment and feedback.